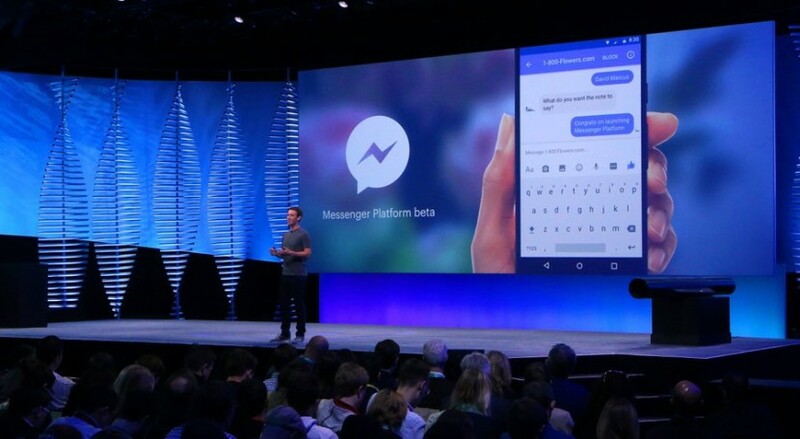 Facebook now wants to expand your social circle in its messaging app, Messenger, beyond friends to include robots — or chatbots — that are powered by artificial intelligence, and designed to shop, search and generally just get things done for you. Wait, what? Yep. Facebook wants you to talk to robots. Every day. All day. It’s certainly a leap to think we, humans, want to connect with computer programs in the same space where we spill our guts to our closest pals, gossip with our co-workers and coordinate with family members to arrange life’s most sacred events (weddings, funerals etc.). Though seemingly unfriendly, chatbots, or bots for short, are just software systems that simulate conversations. And, thanks to your smartphone, you likely already encounter a handful of different bots every day, as Wurmser suggested. Take Apple’s Siri, Google Now or Amazon’s Alexa, the virtual assistant that powers the e-commerce giant’s Echo device. Other bots are even more commonplace, say automated text messages confirming a reservation or a package shipment. Users can now search for more than friends in Facebook Messenger. Bots have arrived to help people shop, search and get things done. A new breed of bots, however, are about to invade Messenger, the social network’s insanely popular, highly personal chat app, now with more than 900 million users. Users who have, until now, communicated entirely with others in the human race. Facebook earlier this week opened the floodgates, letting third-parties develop robot helpers for Messenger that will ideally make it more efficient to complete quotidian tasks. In the same way you message a friend, you can now message a bot for weather updates, to order flowers, to buy a new pair of shoes or receive the day’s top headlines. The earliest entrants in Messenger’s bot-dom include CNN, 1-800-Flowers and the shopping app Spring. With the 1-800-Flowers bot, you can, for instance, order flowers or chat with support just by sending messages in Messenger. So, as Facebook chief Mark Zuckerberg put it, to order from 1-800-Flowers, you never have to call 1-800-Flowers again. “I’ve never met anyone who likes calling a business,” the executive said Tuesday while unveiling his answer to the supposedly dreaded customer service call. More bots are indeed on the way, meaning a pending onslaught of them will usher in a new era in mobile where information comes to you, on your terms — or at least that’s the vision proffered by Zuckerberg and Messenger Vice President David Marcus. They believe you’ll soon be opting for bots over mobile apps and, of course, those pesky 800-numbers. Because why should you have to hassle with opening other apps or speaking to a human to accomplish things? “Chatbots are to you and me and today’s culture, what call centers are to our parents’ culture,” said Brian Solis, the principal analyst at Altimeter Group and an expert on trends in social media. Maybe so, but that assumes people will simply accept bots as their new besties. Pause to think about that. Siri may be handy when you need her, but she doesn’t insert herself smack-dab in the middle of your personal life. And she doesn’t constantly remind you of her presence, as some of Messenger’s bots do. The CNN robot, for example, sends a daily message with the top headlines, which is great when you’re in the mood for news, but also potentially annoying when you’re not. Still, it stands to reason that youngsters, in particular, who are already glued to their phones and do prefer to communicate via texts and mobile messages, will latch on to these bot-enabled friendships with benefits. I truly do have faith in the many thoughts you’ve got available on the write-up. They may be genuinely convincing and definitely will certainly function. Nonetheless, the actual articles are quite small firstly. Might you desire lengthen these folks just a little coming from next occasion? Information article.